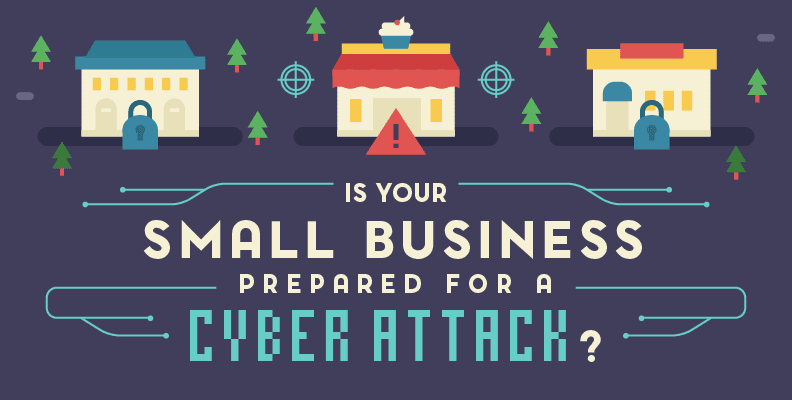 A cyber attack can bring down a small digital business in hours or days, ruining all the hard work you’ve put in to developing your company, and potentially compromising the safety and privacy of your customers. Even if the nuts and bolts of online technology is not what inspires you about your business, there’s no excuse to leave the security of your business to chance. There are plenty of steps that even a layperson can take to improve the chances of deflecting a cyber-attack, and many of them are less about computing know-how than common sense. For example: good password hygiene! That means regularly changing your password, and ensuring all of your business’s employees do so too. New passwords should be at least eight characters long, contain a mix of character types such as caps, numbers, and punctuation marks, and should not be the same ones that you use for your personal life (or for more than one business application). Set reminders to make sure that it’s done at least once a month. If you’re in a particularly vulnerable business (and small businesses statistically are more vulnerable to start with) then it’s worth setting up two-factor authentication for email and network log-ins. This might mean, for example, entering a password to receive an SMS with a separate, one-time code when you want to access your email. Many applications and devices have this option available if you navigate through to the settings screen. Keeping at least two backups – one online and one offline – is also a security-must. Threats such as ransomware will specifically target your data and try to make it unavailable to you. Decent anti-virus and anti-malware software is another essential, but shouldn’t just be used in isolation. For a closer look at the techie and the layperson techniques you can use to strengthen your business’s cyber-security, check out this new visual guide from Headway Capital.